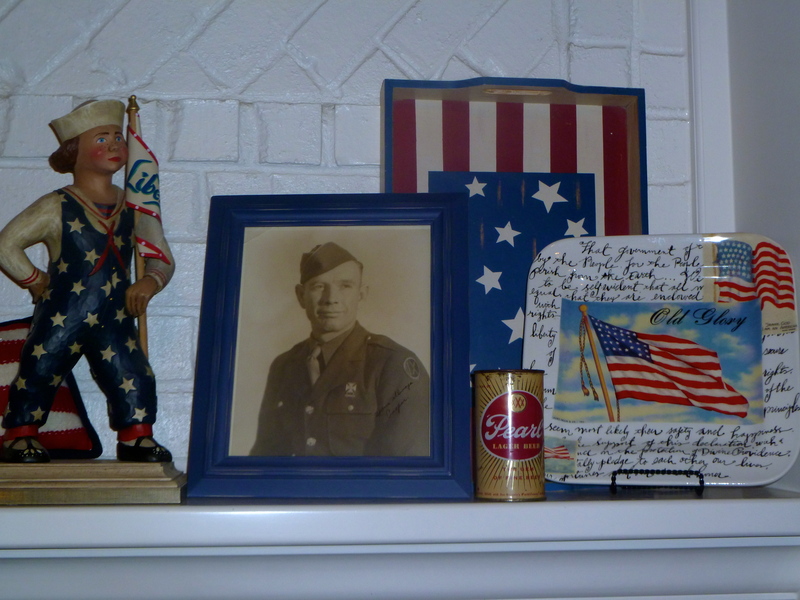 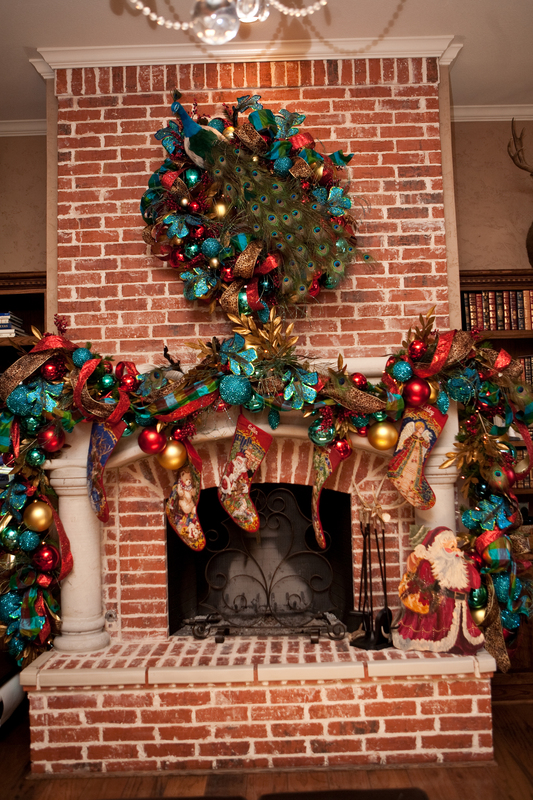 Show Me a Mantel Many Merry Ways……. 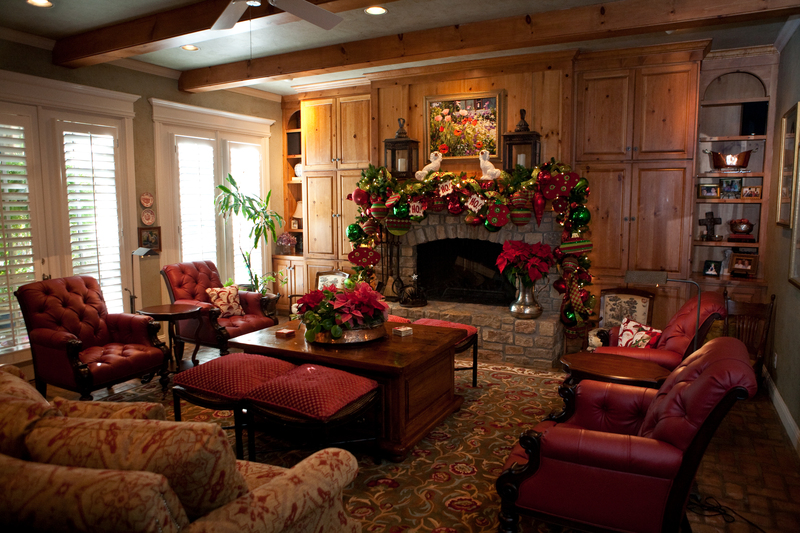 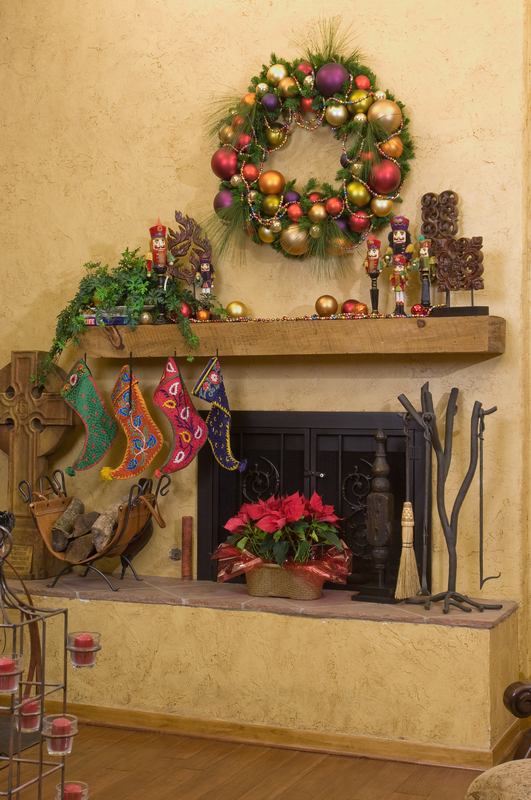 A mantel and fireplace are a great focal point to a family, living or game room. 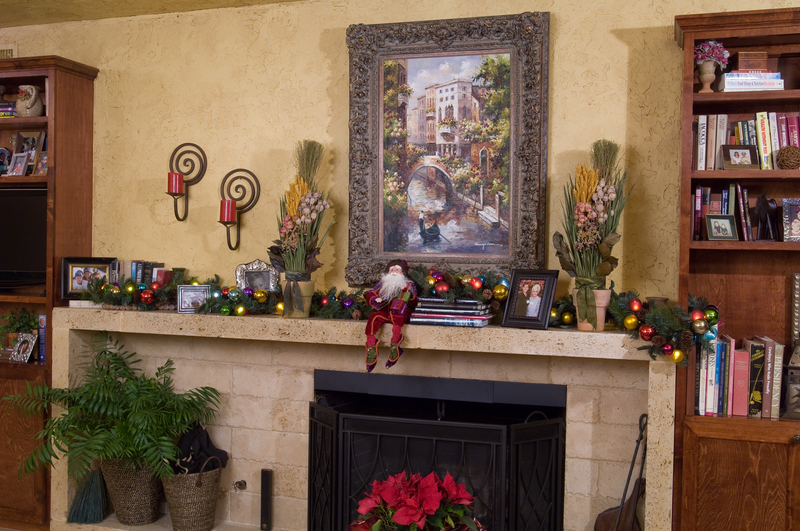 Garlands have long been the go to decorating choice for many decorators. 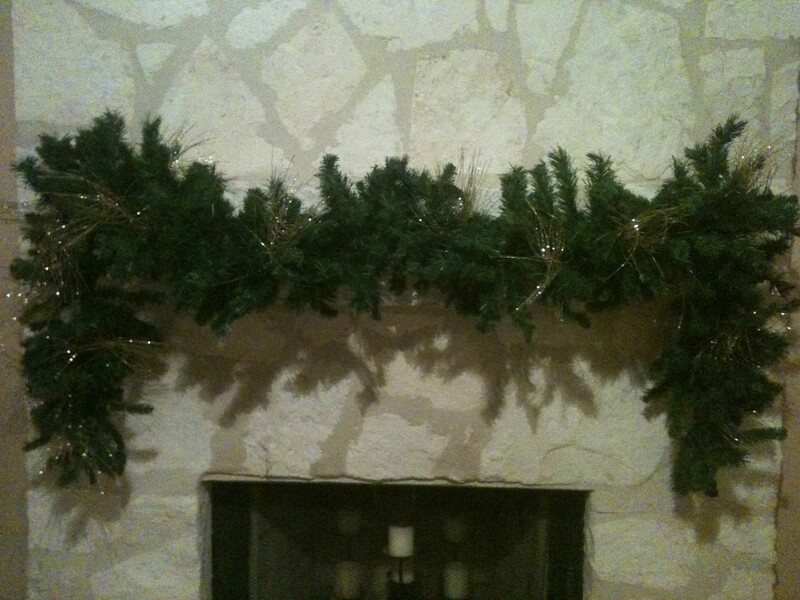 Most green christmas garlands come in 9′ lengths and are a wonderful base to build on, prelit or unlit. 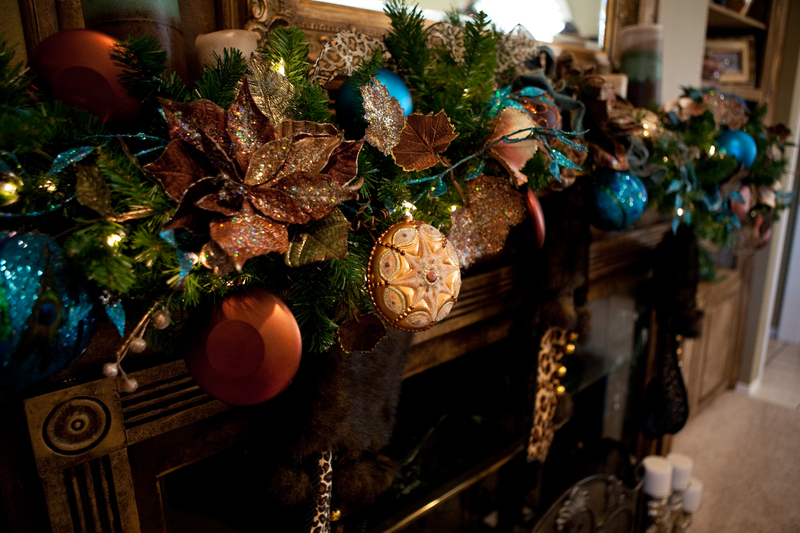 Faux garland is great because it will not dry out and lose its needles, however before your family events or parties, tuck in some fresh greens for smell and freshness. 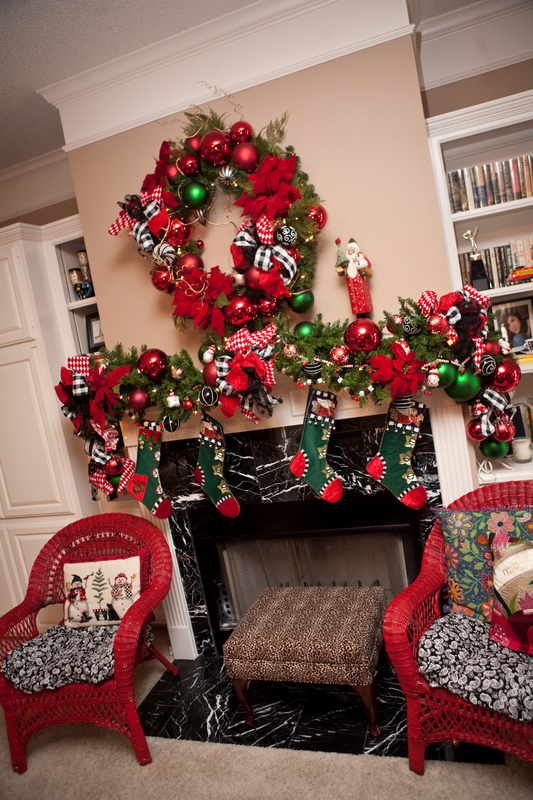 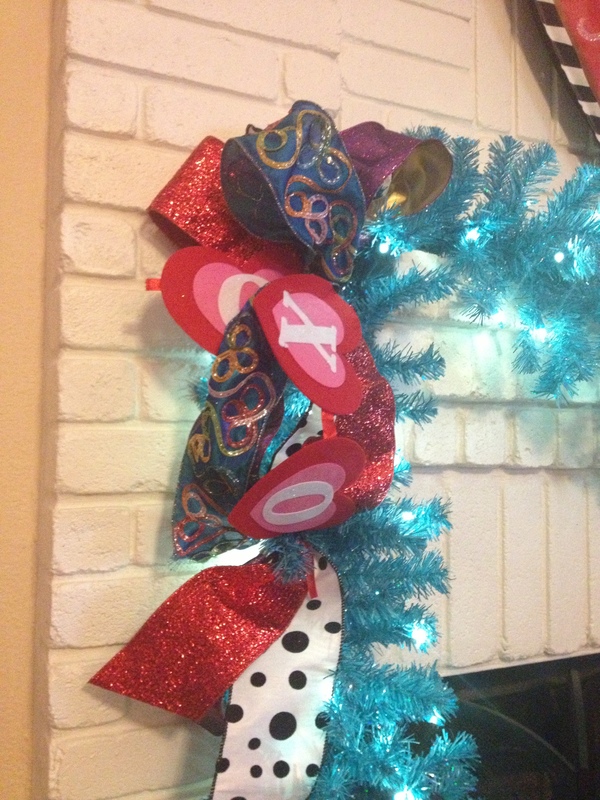 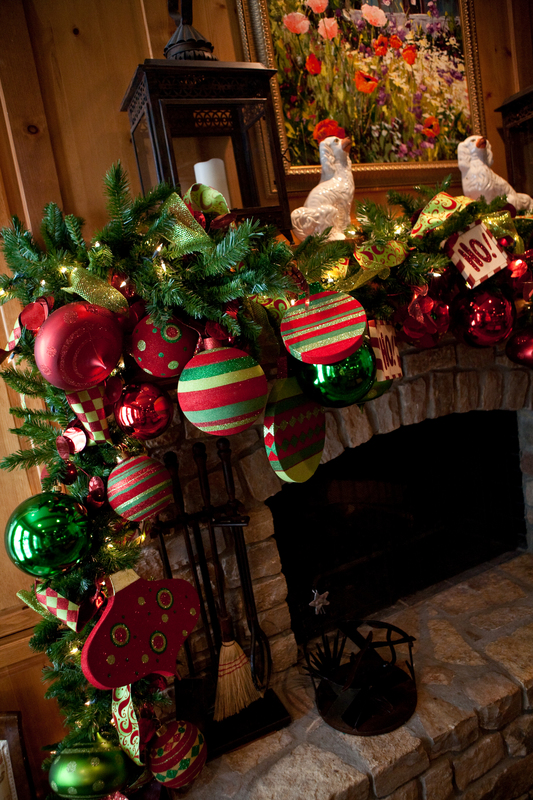 Adding novelty garlands (usually 6′), florals, balls, and ribbon can add that special touch to your holiday decorating. 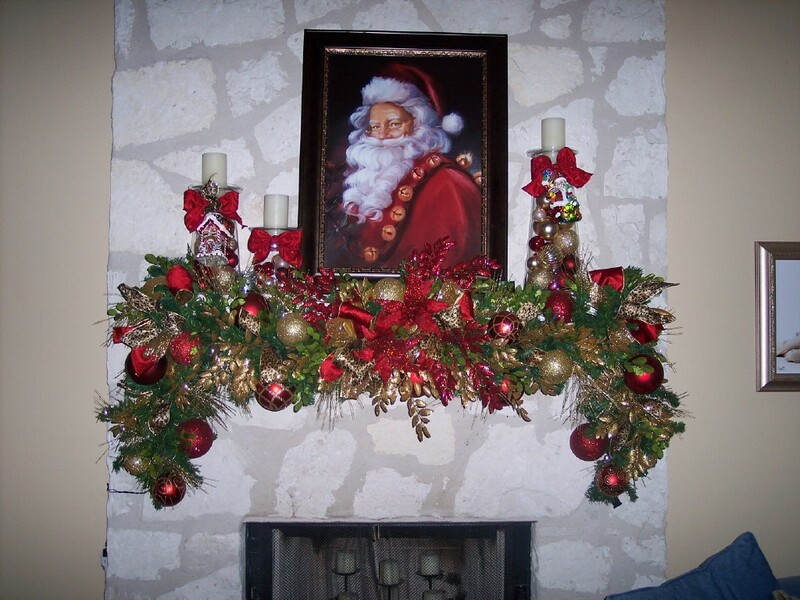 When choosing a base garland look for Quality, (this garland can be used over and over), a strong base wire, bristle feel to greenery(a little stiffness signifies a heavier ply of vinyl and will have resilience to fluff out year to year) and strong wire in greenery tips. 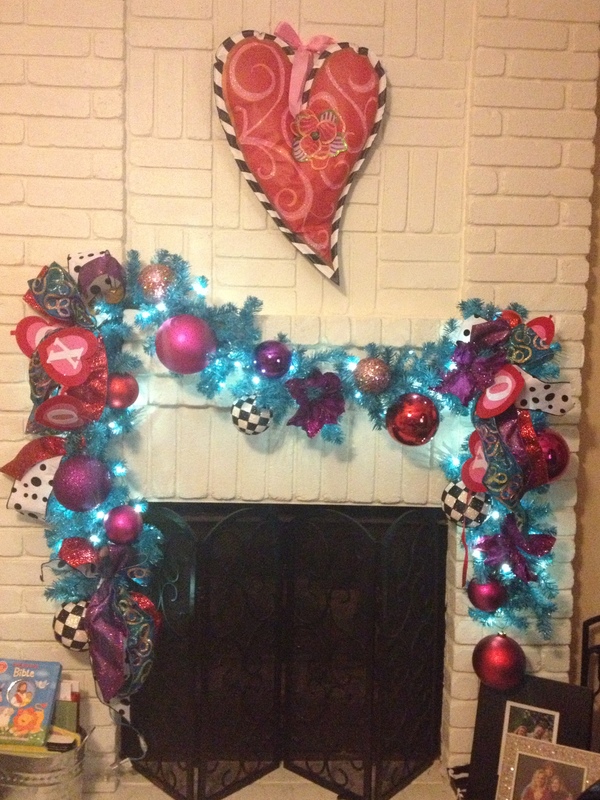 You get what you pay for! 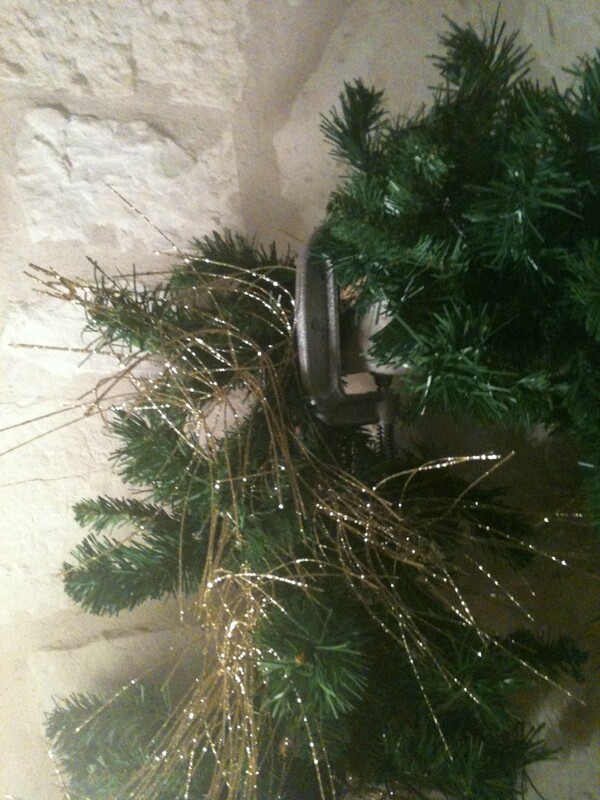 Rock, Stone or Marble (even thick wooden): use a c-clamp place garland and secure with clamp allowing greenery to work around to cover. 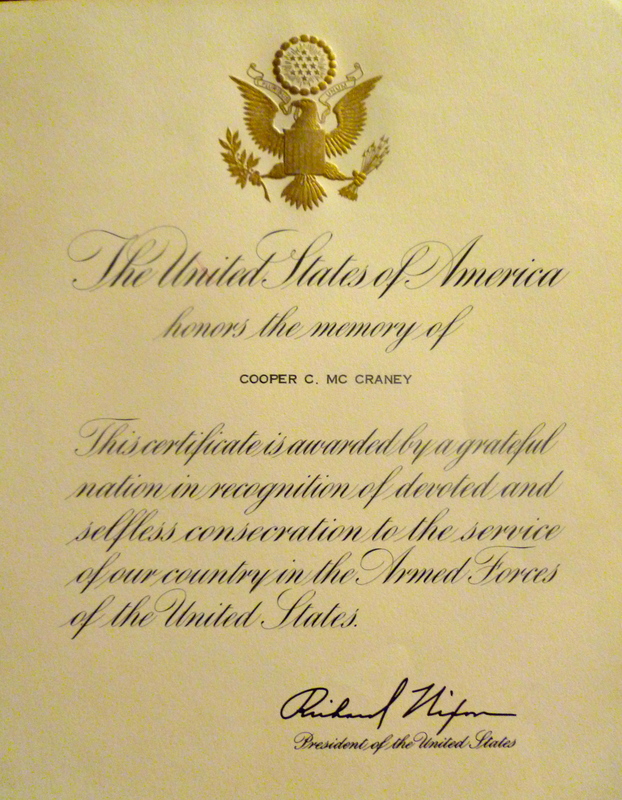 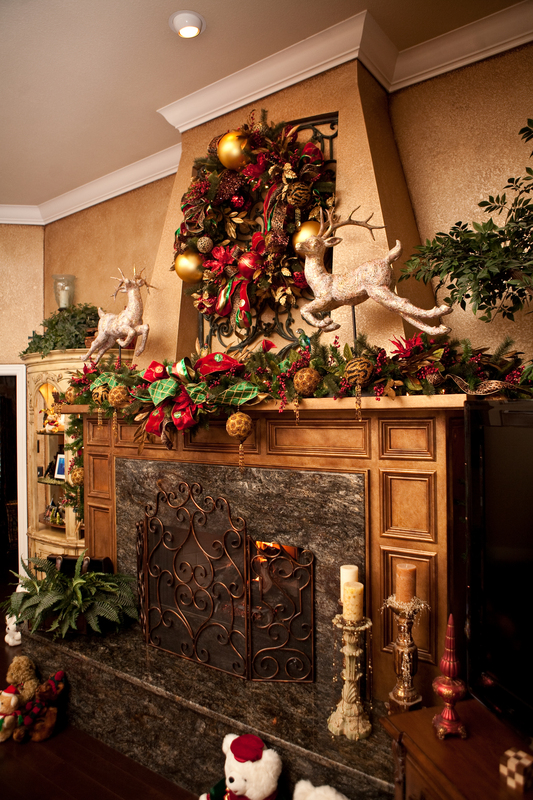 you could even spray paint the color of your garland or mantel to camouflage! 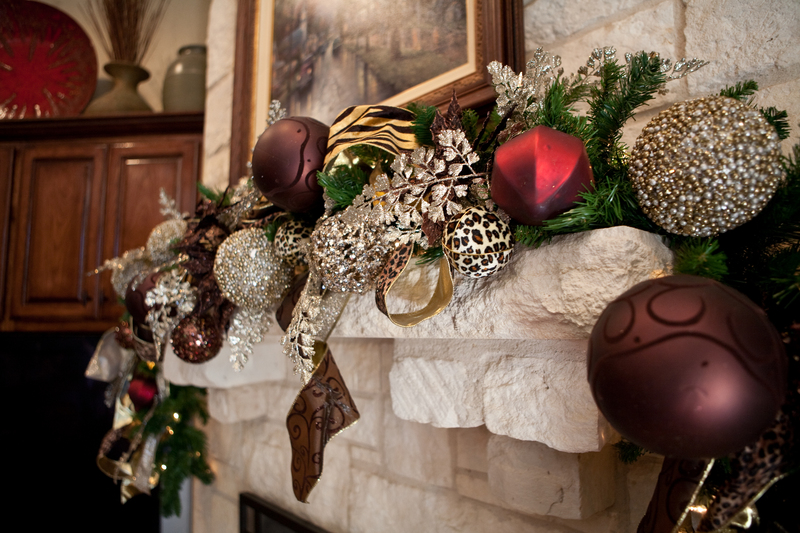 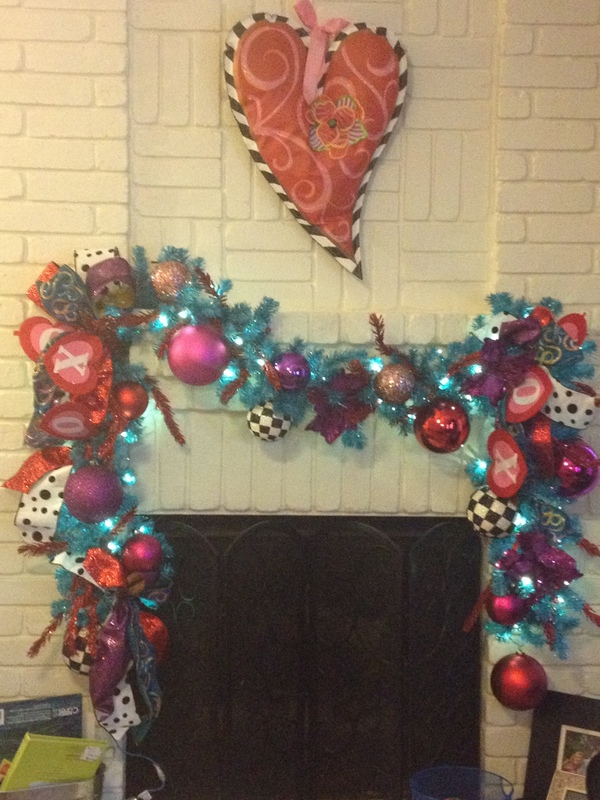 Beautiful mantel from Show Me Team in San Antonio! 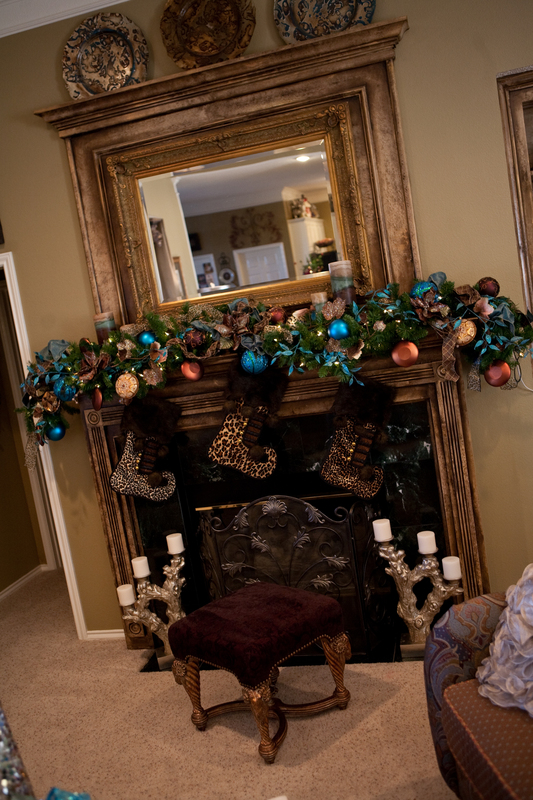 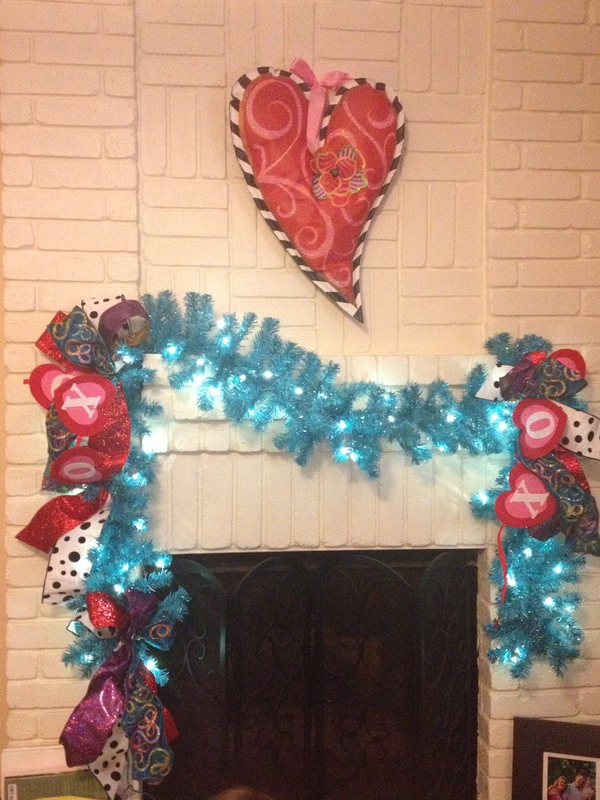 Now we hope to inspire you with our Show Me Decorating Mantels…..
Turquoise, animal print and peacocks! 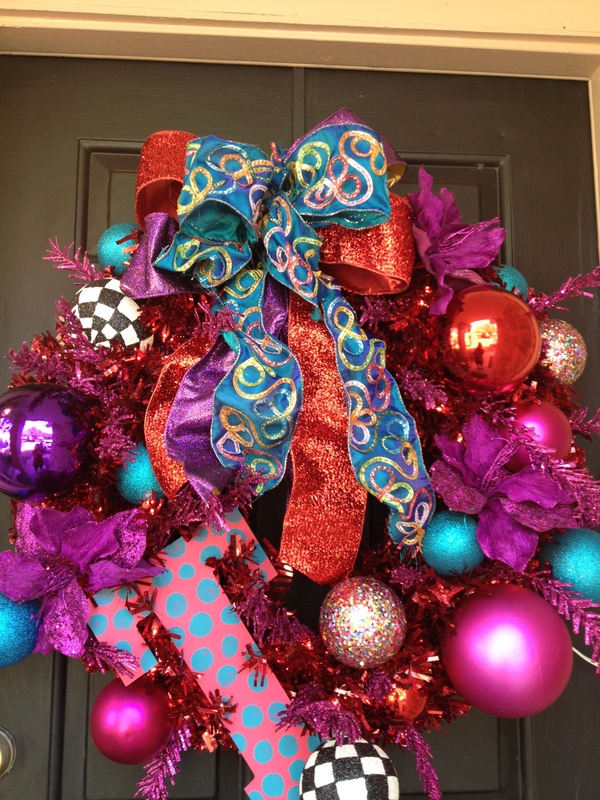 Something for a sweet tooth! 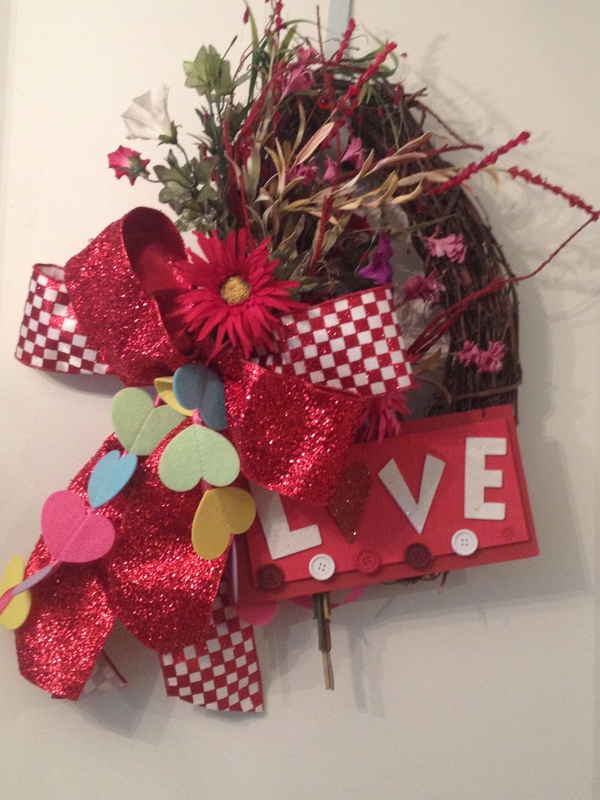 Pops of black and white, with red add a cheery note! 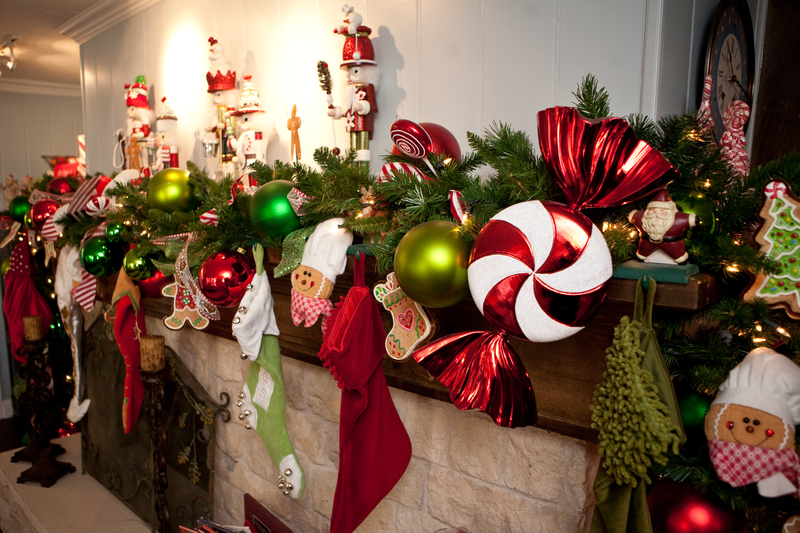 Stockings can be hung with decorative stocking holders (heavy weighted ones are best), the garland itself, tea-cup hooks,@commandbrand, and how Santa chooses to fill will depend on whether you have you been Naughty or Nice!